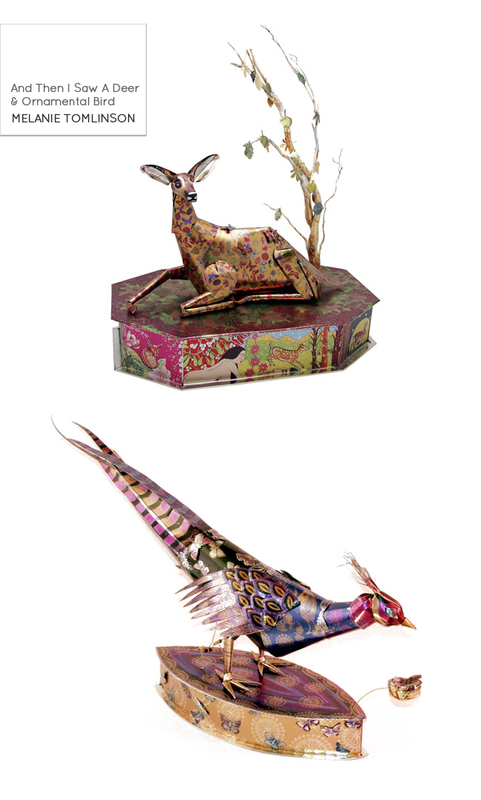 These printed tin tableaux sculptures by Melanie Tomlinson are pure magic. I love how some of the the tableaux are automated, she says that finding a small handle and discovering how turning it brings the piece to life is all part of the element of surprise that she enjoys providing. Although not obvious at first, the boxes can also double as secret hiding places for personal treasures. lovely. just lovely. i adore the juxtaposition of modern lines & whimsy! these are amazing! i have a small collection of old wind-up tin toys, & these remind me of them... only 2x more fabulous. The bird is so cool! Wow, these are absolutely beautiful. Thanks for sharing Marichelle! Oh good god......how on EARTH did I miss this? I am in love....wow.